We produce the finest all natural, vegan lip blams from premium organic, raw, and wildcrafted ingredients. Hurraw! started with pure intent; aspiring to create the perfect balm. certified vegan! highest quality raw ingredients! handcrafted in small batches! premium fresh pressed oils! certified organic ingredients! no preservatives! non-toxic! gluten free! natural flavors and colors! oval tube fits perfectly in your pocket! Using Hurraw! supports responsible farming in the United States and around the Globe. all natural, vegan, raw premium fair trade ingredients. super smooth, not draggy, not sticky, not sweet, not too glossy, not too smelly. never grainy. long lasting. no melting in a back jean pocket. GREEN TEA - if you're into the green tea scent, you'll love this product. But me, no. I don't like green tea. Generally, green tea smells like potpourri to me. T_T I dunno why. Most of my friends love green tea and I can't really force myself to have any of those. So since I don't like green tea as much as others do, I gave this to a friend to try it for herself. I asked her to try it for 3 days and tell me what she thinks about the product so this review won't be so BIASED. 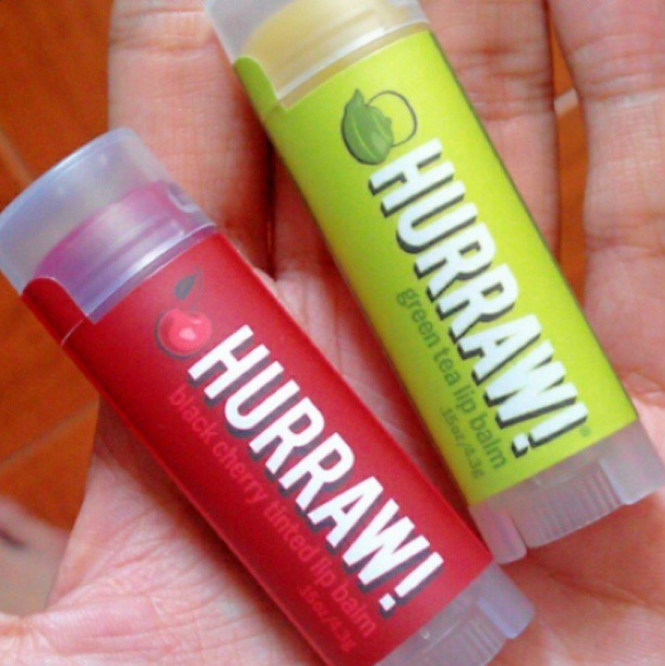 To be honest, I was a bit hesitant to try this lip balm at first just because of its flavor— green tea. I have nothing against green tea as a drink, but the thought of my lips smelling like it was enough for me to avoid using it. However, I gave the product a try and it didn't really smell foul at all. It smells a lot like caramel syrup which I really like. 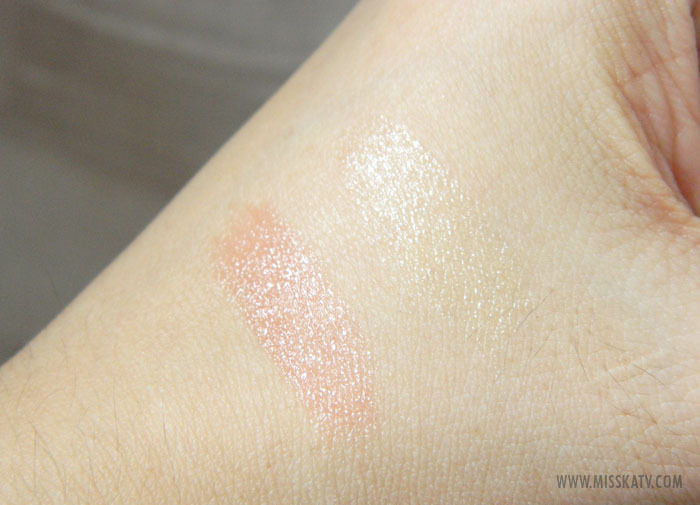 When I applied it on my lips, the balm glided on smoothly and buttery. It's extremely moisturizing and doesn't feel heavy. I was very surprised by its formulation. I actually prefer this now over my EOS and Carmex lip balms. BLACK CHERRY - This is heaven! I finally found my love of my life. LOL. The smell is just so yummy! Makes me wanna eat the whole thing! But no can't do. I have NEVER EVER found a lip balm this good! It smells so nice (yes, like real cherry and the sweet scent of fresh cherry candies. Still not convinced?!). 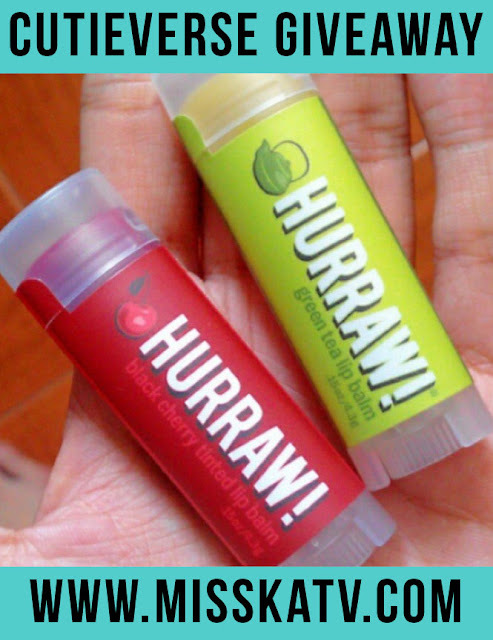 It doesn't have any funky scent and taste to it (those two are the most important for me when it comes to lip products, like how are you going to put something on your lips when it's smell so freakin' gross). OMG, I didn't expect that this would be better than my CARMEX lip balm. Even better than the scent of my EOS lipbalm. I can keep on raving about this product....... but it would take forever. HAHA. BLACK CHERRY - it is not drying but also not very moisturizing. Just right amount to make lips in its right moisture. The smell is addicting. period. that's all, end of story. LOL. Vanilla Bean sounds good, but even if I don't win I'm still going to buy it just to try it out. Most lip balms make my lips like too moist that the skin either starts peeling on it's own, or create small bubbles allowing me to bite the skin off my lip. I read somewhere that this was because of the fact lip balms are made with ingredients that do make your lips peel. I want the HURRAW! SUN PROTECTION LIP BALM WITH SPF 15. I want the grapefruit lip balm. 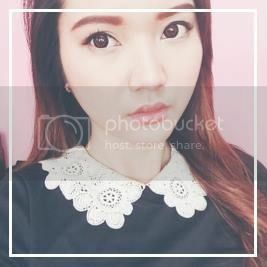 Thank you for the giveaway ! The black cherry seems to be great and I love that scent ! I would like the green tea~ Thanks so much for this giveaway! I would like Black Cherry. Thank you! I hope to win the black cherry :) Thank you for this giveaway! Wahh the black cherry one would be awesome! I would like to try Green Tea Lip Balm. I'd love to try black cherry! I'd love to try Black Cherry. I would love to get BLACK CHERRY!!! Yummy!